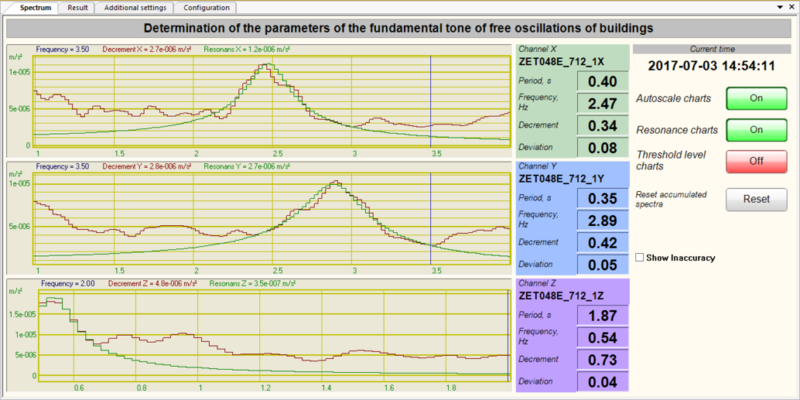 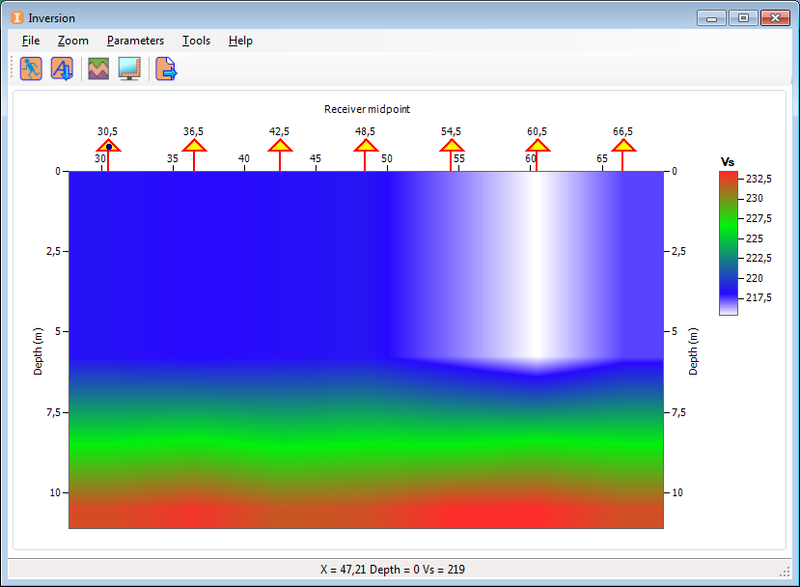 ZETLAB products for seismic analysis and monitoring have been designed on the base of the contemporary seismic studies. We can offer you a wide range of tools for geophysical surveys, seismic tomography, automated monitoring of bearing structures (structural health monitoring), seismic monitoring of oil piping systems. 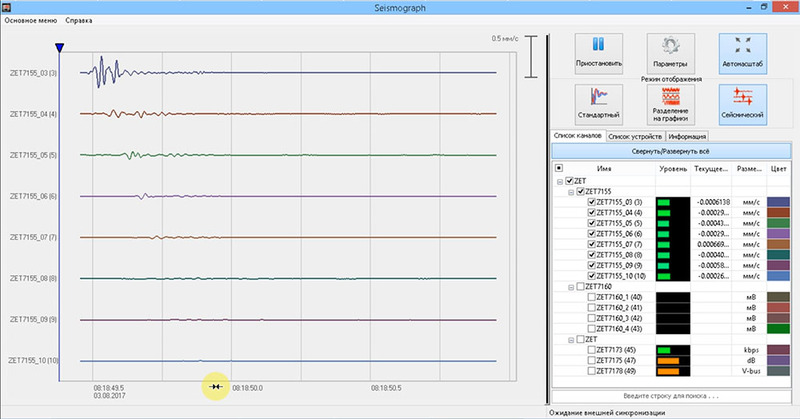 You can also view an example of the seismic recorder and “Seismograph” program operation in real-time mode: see the Seismic observation system page. 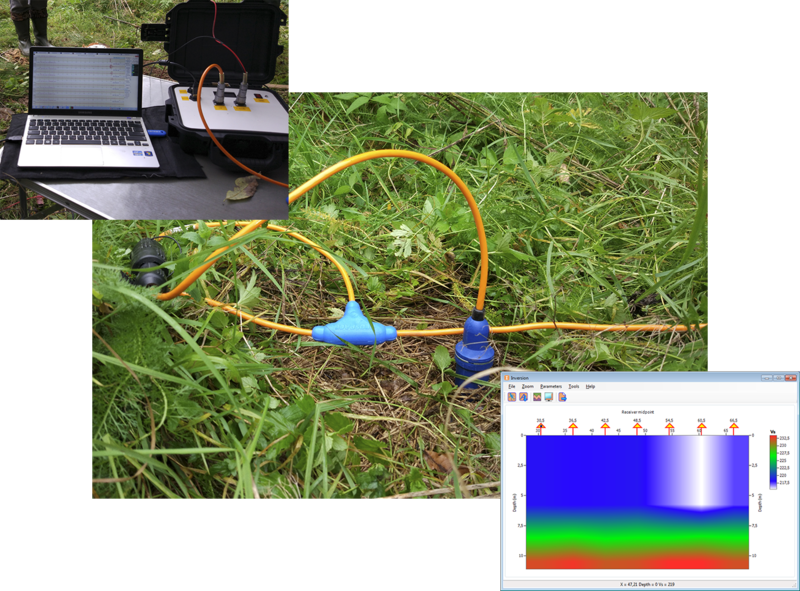 Our range of products for seismic analysis and structural health monitoring (SHM) includes seismic recording systems, seismic stations, seismographs and a kit for seismic research performance, which is a turnkey solution for seismic and geophysical surveys. 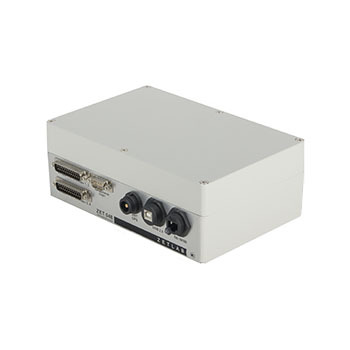 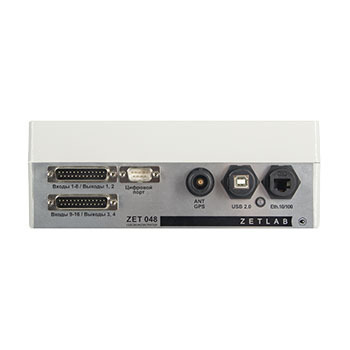 Depending on your particular task, you can select a turnkey solution based on hardware and software complex developed and manufactured by ZETLAB Company. 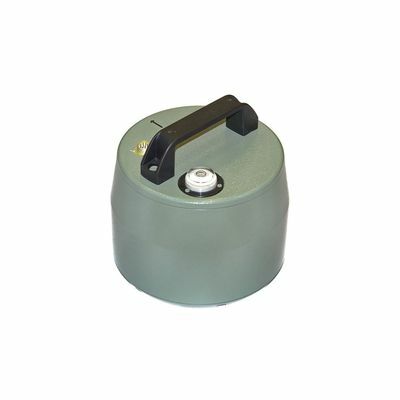 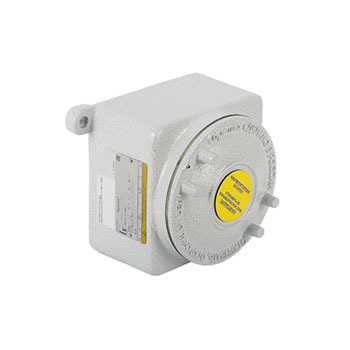 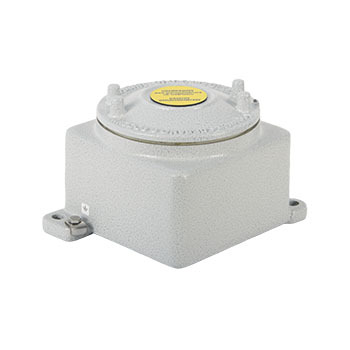 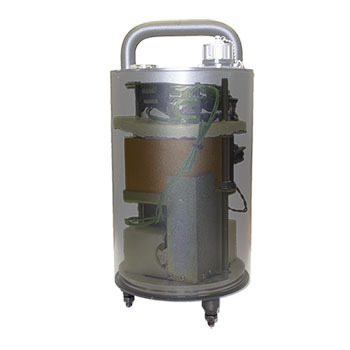 Seismographs are used for measuring of seismic impact parameters, buildings dynamic characteristics control, oil pipelines leak detection, passive seismic surveys. 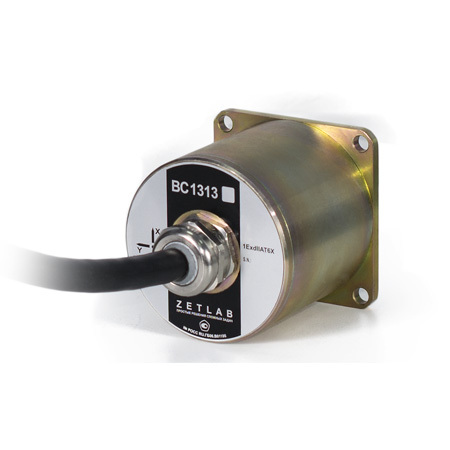 In addition to that ZETLAB seismographs perfectly suit for temporary mounting at the controlled area (it is possible to mount them both on the ground and solid surface – steel, concrete, etc.). 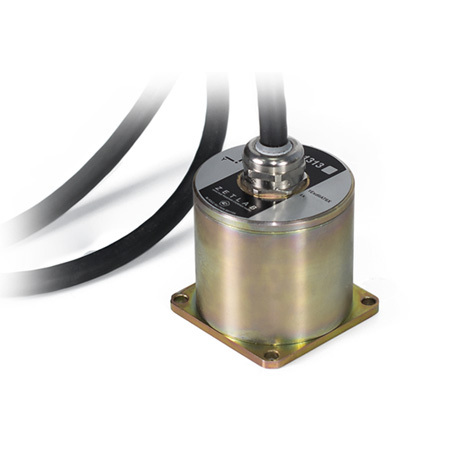 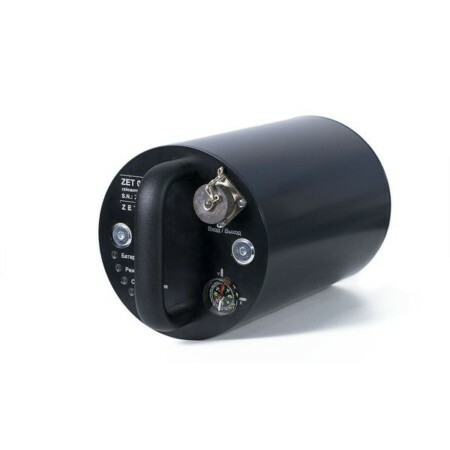 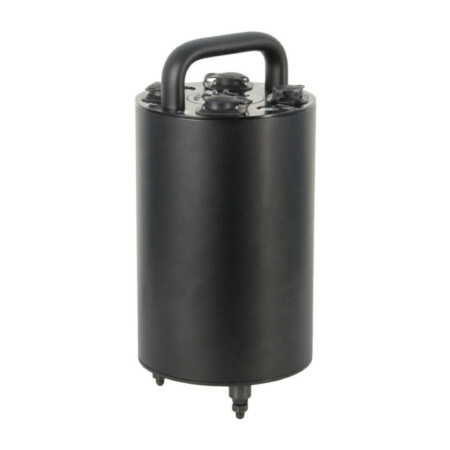 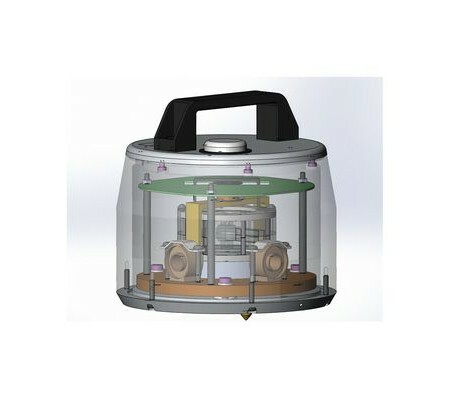 Such features as high sensitivity value of the sensing element, wide frequency range, and metrological self-check contribute to the high reliability of the product and a great variety of possible applications for research and monitoring activities. 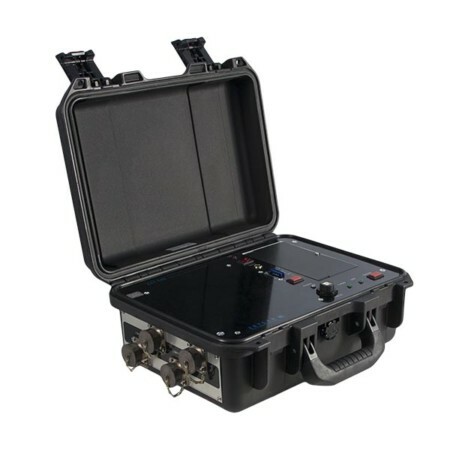 Portable seismic recording system allows to perform geophysical studies in field environment by the methods of reflected and refracted waves, in order to carry out surveys on the upper layers of the Earth, conduct exploration and prospecting of mineral resources and fossil fuels, and perform engineering and geological surveys aimed at construction surveying as well. 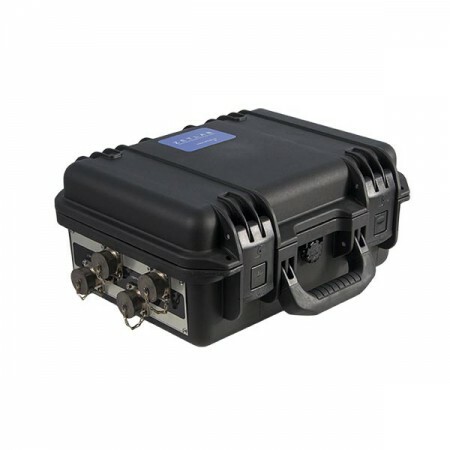 Analysis of changes in the stress-strain behavior of buildings during the building`s lifetime with the use of the portable seismic recording stations ZET 048-C. 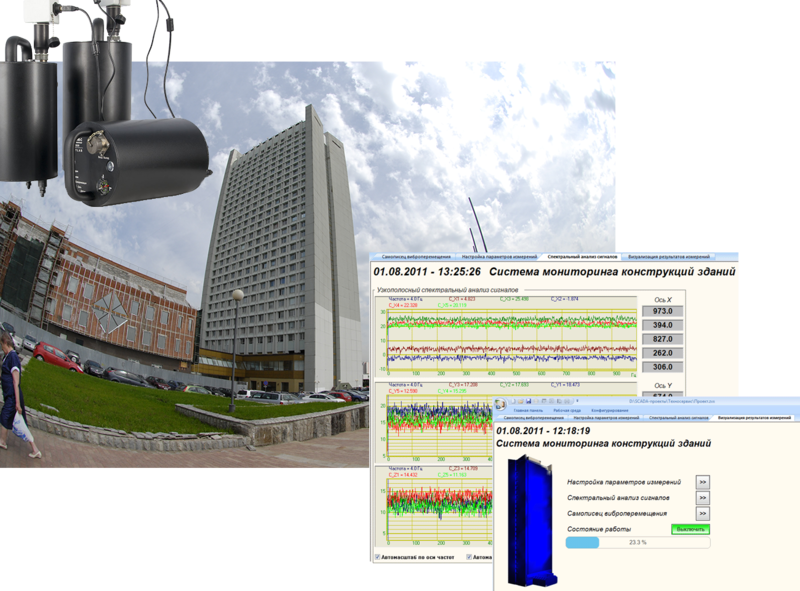 Application options: post-fire assessment (building inspection), assessment of post-explosion damage to buildings, structural health monitoring for buildings in a dangerous condition, as well as for old and ramshackle buildings. 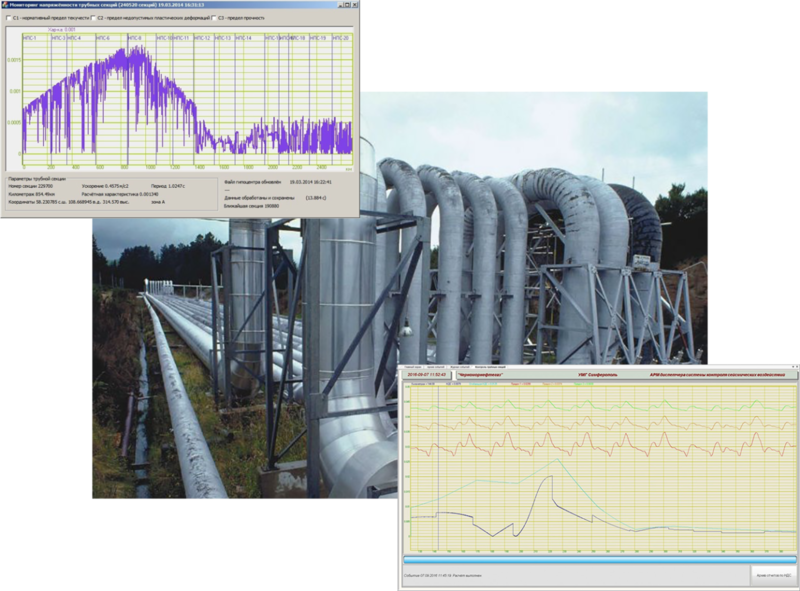 Processing facilities state monitoring is one of the key aspects of industrial and ecological safety. 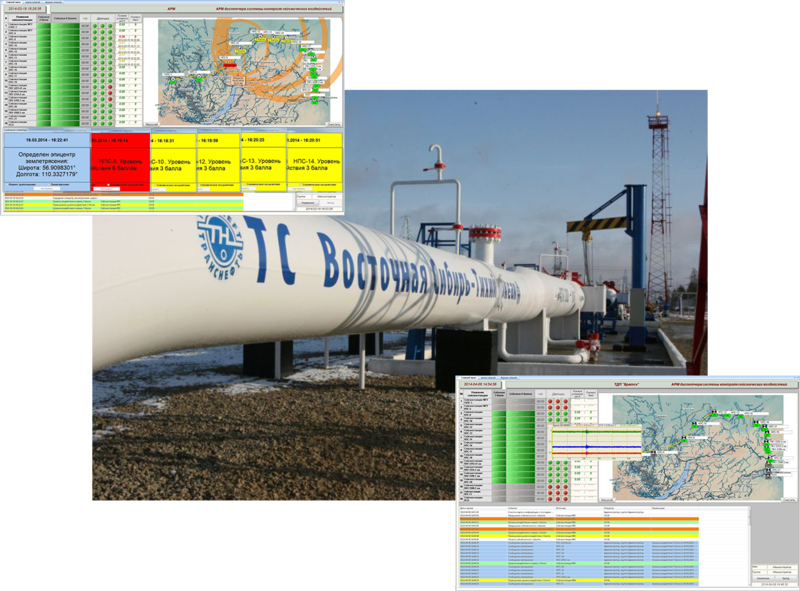 One of the major applications of this technology is petroleum industry pipeline systems monitoring. 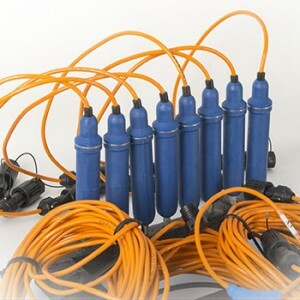 We are ready to provide you with up-to-date cost-effective solutions for various processing facilities monitoring and control. Monitoring of the surface motion and shifts after earthquake impacts, explosions and other natural or man-made factors on the territories of oil/gas extraction facilities and pipeline systems. 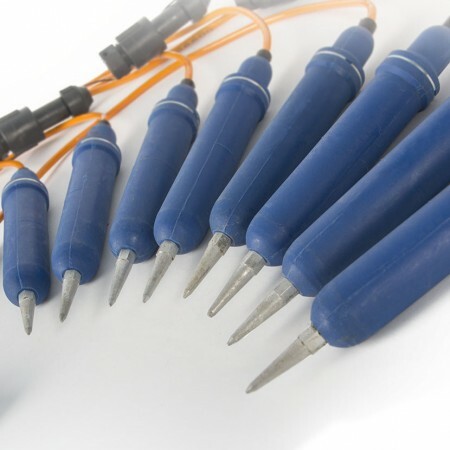 Seismic recorders are a turnkey solution for offline monitoring or operation within the framework of automated monitoring systems used for the purpose of seismic and seismological studies. 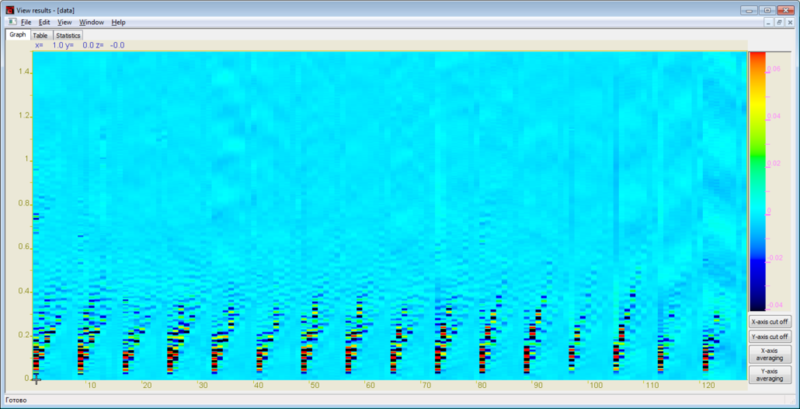 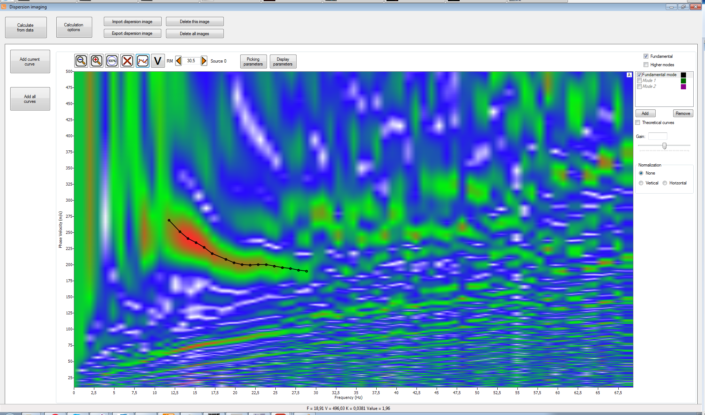 The digital seismic recorders are supplied together with task-specific ZETLAB SEISMO software package. ZETLAB SEISMO enables comprehensive analysis of the recorded signals by means of various algorithms along with visual representation of the signals obtained in 2- and 3-dimensional format. 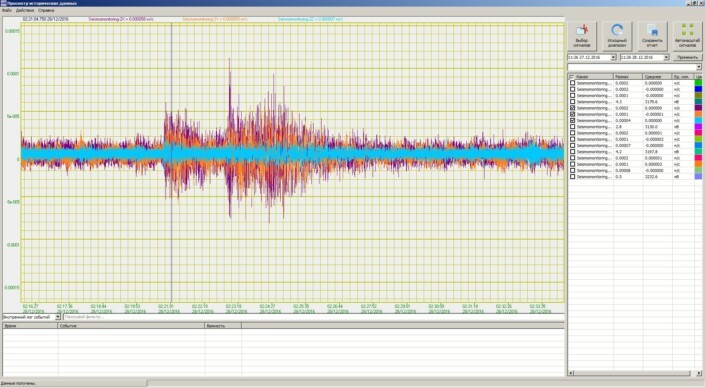 Seismic stations have such features as in-place calibration of the sensing element, synchronization by GLONASS/ GPS, compatibility with various SCADA – systems. 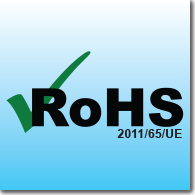 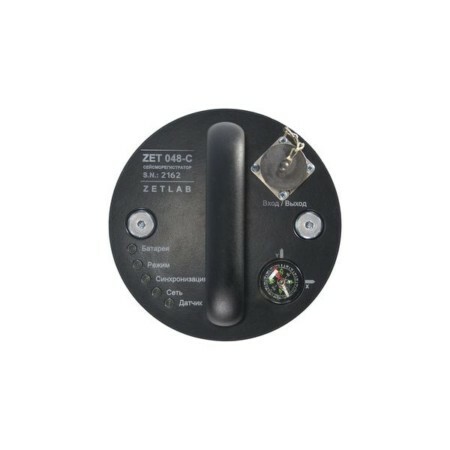 ZETLAB seismic survey equipment conforms to the Directive 2011/65/EU (ROHS, ROHS II) on the restriction of the use of certain hazardous substances (Pb, Hg, Cd, Cr(VI)) in electrical and electronic equipment and manufactured in conformity with the lead-free technology, according to the EU requirements.